First thing, if you drive. Its such a headache trying to find a car park! Better to sit the bus it seems. Because of the rain, there was a very heavy jam on PIE and my friend was caught in the bus for 2 whole hours. Gosh! And when she finally arrived - We were famished! 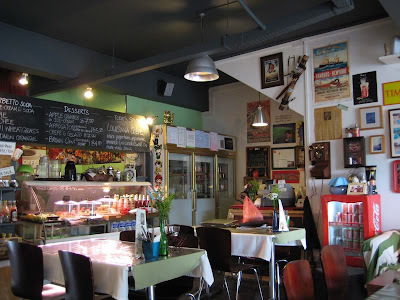 We quickly made our orders of Curried Fries, Rodeo Wings BBQ and Italiano Crepes. The environment was very cosy. 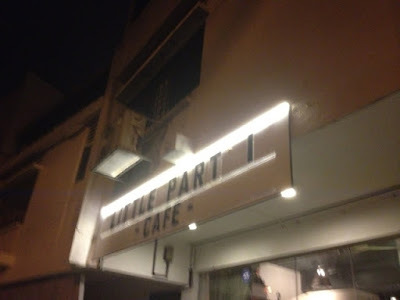 A very good place for chit chatting and chilling out. Guess what! After 1 hour, they told us the curried fries were gone. Thank God the Rodeo Wings came! 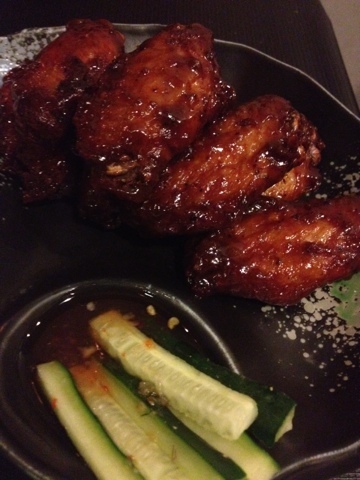 It was good but still not as good as the rodeo wings I had in this particular Korean restaurant ( My next post!). The chicken was juicy and the BBQ sauce tantalizing. But nothing spectacular. 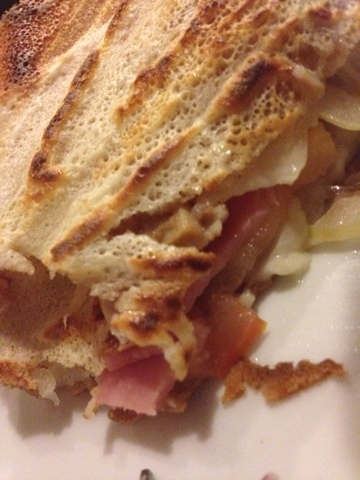 For the Italiano Crepe, I like it. But it was not very filing it seems. But its nice sharing it. If I had one by myself, I think it would have been a little over. 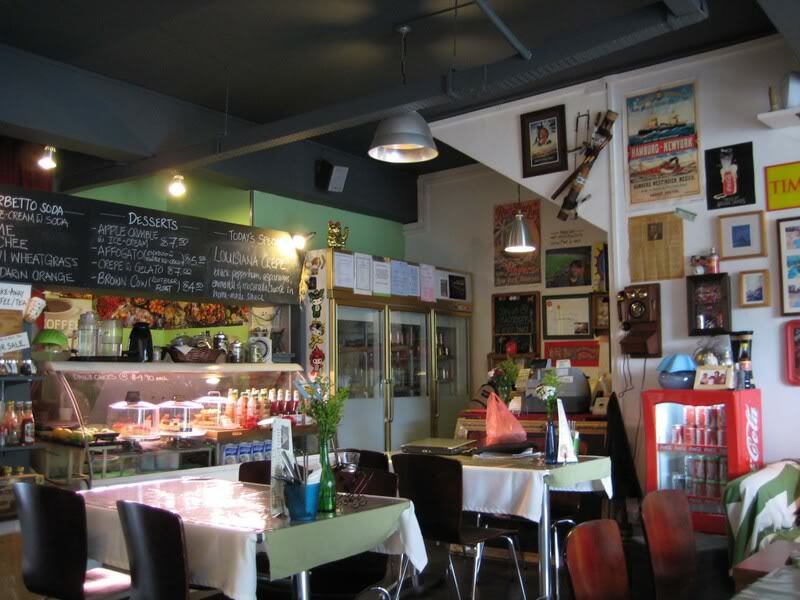 Not very satisfied with our meal here, we went searching for a good dessert. Just as the pictures online look, it was GREAT! Sad. Not willing to give up. We held a glimmer of hope that it might be opened because next day was Deepavali. And true enough! Totally well worth the numerous rounds I had to made to find car park. They have waffles in many interesting flavours! Banana, cinnamon, green tea... We took really long to decide. We were greedy and decide to then order one each. Bad choice! Its very filling. Such desserts are meant to be shared. 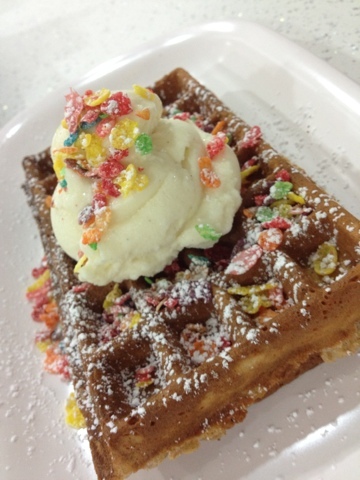 My friend had cinnamon waffle with vanilla ice cream and sugar pebbles. Found it a tad bit too sweet. For mine, I just ordered from the photo on the wall because it looked great with the pistachios. I love mine! 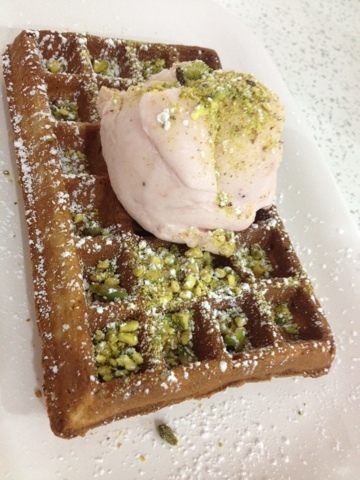 The mix of sweetness from the cinnamon waffle and the sourish of the ice cream. Wonderful mix! 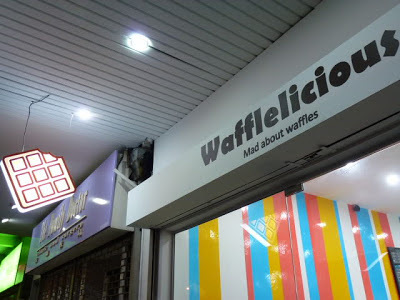 I'm definitely going back to Wafflelicious!